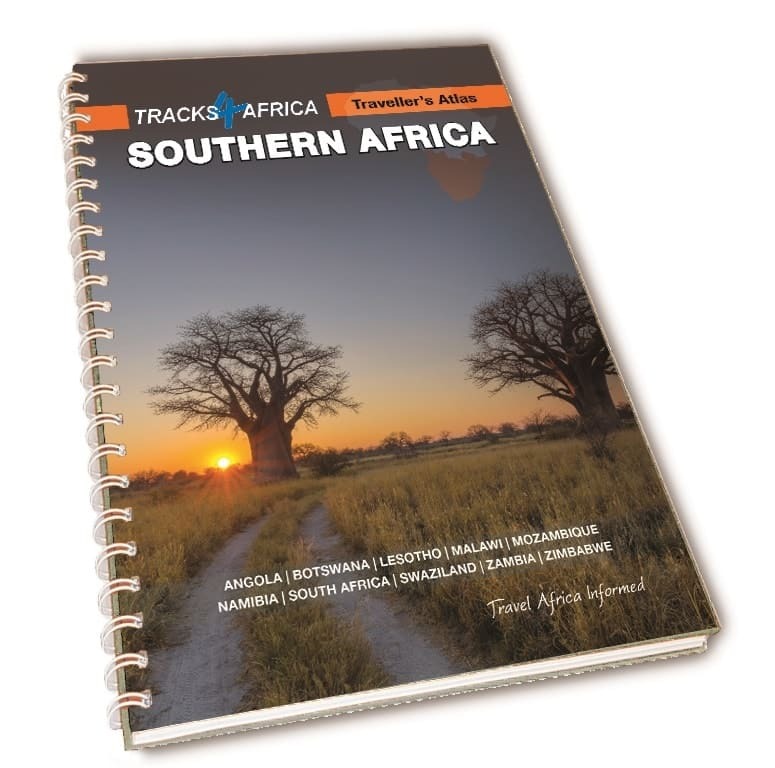 The Tracks4Africa Traveller’s Atlas Southern Africa is jam packed with helpful information. 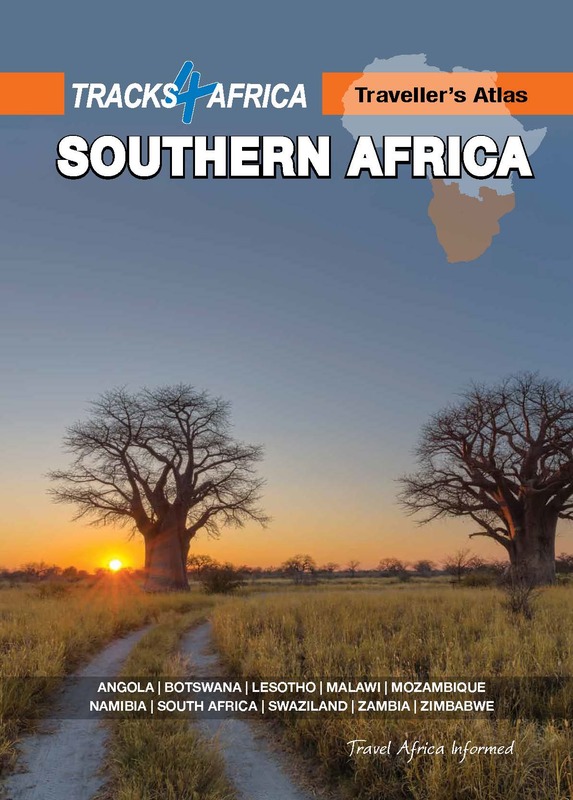 For a start, it features 10 countries south of the equator: Angola, Botswana, Lesotho, Malawi, Mozambique, Namibia, South Africa, Swaziland, Zambia and Zimbabwe. And it shows more than 107,000km of roads, both major ones and off-road tracks. But that’s just the beginning. The Tracks4Africa team have layered lots of handy features onto the maps to make this the ultimate road atlas. The A3 size maps pack in a remarkable amount of information on a page, giving you a greater sense of scale and scope than a small screen. At a glance you can see the Angolan coast from the Namibian border up to Cabinda or view the area between Moremi and the Central Kalahari. No need to zoom in or out, it’s all in front of you. This makes the atlas perfect for planning routes, whether before the trip at your dining room table or around the campfire. To present the information most effectively, the atlas uses a variety of scales for various countries. This is because the density of populations, road networks and infrastructures vary from country to country. In South Africa, Lesotho and part of Swaziland, where more detail is required, the maps are on 1:500,000 scale. The rest of Swaziland, Mozambique, Malawi, Zimbabwe, Zambia, Botswana and Namibia are on a 1:1,000,000 scale, while most of Angola is on a 1:4,000,000 scale. If you’re still wondering why the trucker had his indicator light flashing for miles, you need the Tracks4Africa Traveller’s Atlas. 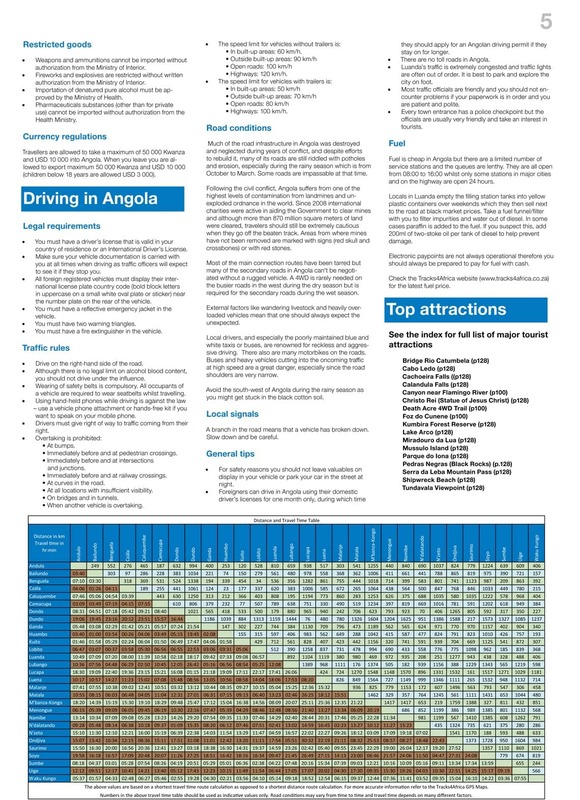 Each country section explains what the specific traffic rules are as well as the road signals used informally. 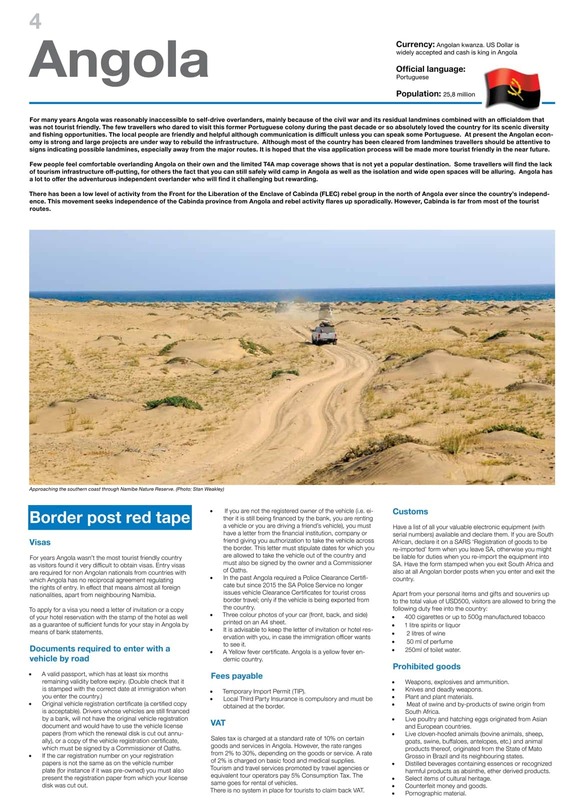 Overlanders will find the information on road conditions, fuel availability and general driving tips indispensable. With the atlas in hand you can make sure your route takes you to the appropriate entry point and allows enough time for you and your vehicle to be processed. Border posts aren’t the most scenic locations and you don’t want to have to pitch camp just because you assumed it would be open until 17:00. Do you have the right documents? Is your vehicle legal? The Tracks4Africa Traveller’s Atlas has the answers to your questions. In the country introduction at the front, it clearly sets out the necessary documentation and the legal requirements for your vehicle, such as emergency triangle, reflective vests, fire extinguisher and vehicle stickers. You don’t want to put a dampener on your dream trip by having to shell out for these essentials at the border or – even worse – being turned back. Say goodbye to guesswork! Accurate distances and reliable travel times are supplied thanks to the GPS data from travellers in the Tracks4Africa community. On a continent where road conditions vary dramatically, this can mean the difference between toasting the sunset from the comfort of your camp or driving in the dark. When you’re overlanding you need to know where you can refuel, get cash, stock up on supplies and seek help in case of emergency. 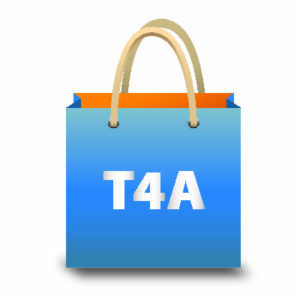 The Tracks4Africa Traveller’s Atlas uses handy icons to indicate whether a town provides essential facilities such as auto repair, banking, fuel, hospital, police, restaurants and shopping. The atlas helps you find the top sights in each country, so you can map your route to take in points of interest. 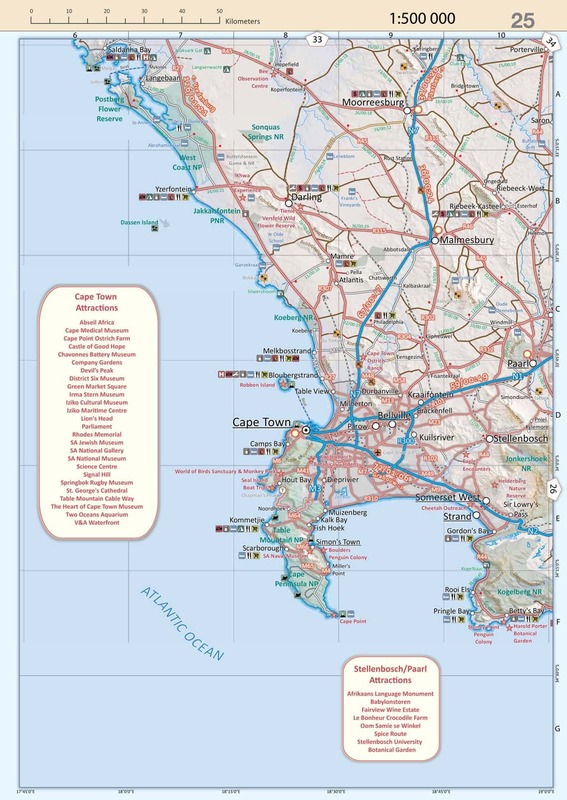 Major tourist attractions are indicated with red stars on map pages and listed in the front section of the atlas, while minor attractions are denoted by icons. The atlas conveniently indicates campsites and lodges right on the maps. Across the 10 countries there are 2,535 places where you can pitch your tent and 5,198 spots where you can stretch out in bed. Africa’s untouched beauty and incredible wildlife are why you’re touring the continent, right? In the Tracks4Africa Traveller’s Atlas you’ll find 462 protected areas shaded in green. Why not sit down with the atlas and see what other parks and conservancies are out there? You might just end up visiting a natural gem that proves to be the highlight of your holiday. The hard-wearing wire binding makes the atlas easy to flip open, lay down flat or fold back onto itself. This means the pages turn easily and stay put, so it’s a cinch to use while travelling. Buy your copy online now! Bought my copy at the getaway show Somerset West and used it to drive two passes in Namibia I did not know existed, It is going with me on my next trip to Mana Pools in Zim. Best investment ever, I love paper maps, it’s the only one you will ever need. I just love my copy…a very well job was done here! Hats off to the team! They were also soon be available at retailers, please check with your local store. It’s not on your site for order. Where can I get one from? where can we order them ?